Staying focused. Many freelancers struggle with this. They encounter a ton of distractions while attending to a project or client. The daily tasks seem unimportant in the face of all these distractions too. Fortunately, no freelancer is helpless in this matter. A perfect solution is to track time effectively. Time management is the best solution here. A good tool that helps you to stay on top of these distractions and remain focused is a monthly timesheet template. 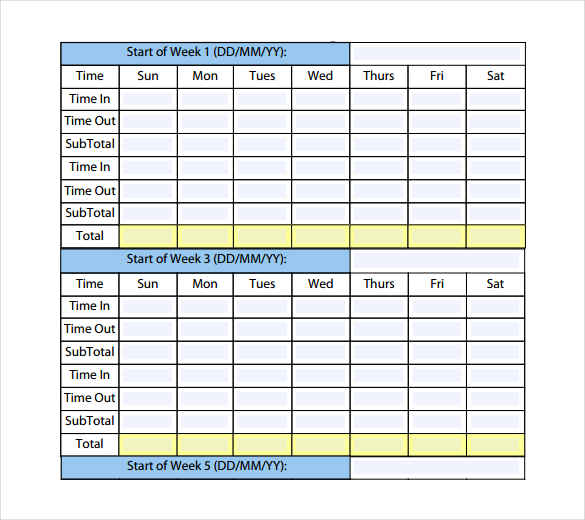 How does the monthly timesheet template help? Yes, it’s important for freelancers to operate within regular working hours. Some tasks or projects may call for overtime though. That’s understandable as long as the overtime doesn’t make you a less focused consultant. Freelancing offers you more leeway where your time is concerned. Nevertheless, it’s important to stay on top of the situation and preserve your health by scheduling your tasks like a normal 9-5 job. It’s good to restrict yourself to around 40 working hours a week. Use the timesheet template to monitor your business hours. You may probably be wondering how the timesheet template influences workspace. Well, it does so by keeping you focused while at work. A good workspace is great for keeping you focused on everything you do. A good and proper workspace is devoid of the sort of distractions that can prevent you from doing your job. If you can’t afford to buy everything you need to improve the workspace, you should create a unique user account for work. Some distractions are poisonous to freelancing. Find ways of protecting yourself from all that. Keep yourself safe. Protect yourself, the business, the integrity of the project you are working on, and the clients. The monthly timesheet template can help you understand how much time you spend on social media, texting, not-so-urgent emails, unproductive talks, and unnecessary multitasking. Use the template to organize your time well. Freelancers have to invest in themselves professionally. Spare some time away from handling the demanding clients’ projects and tasks. Give your brain small breaks during the day, week or month. 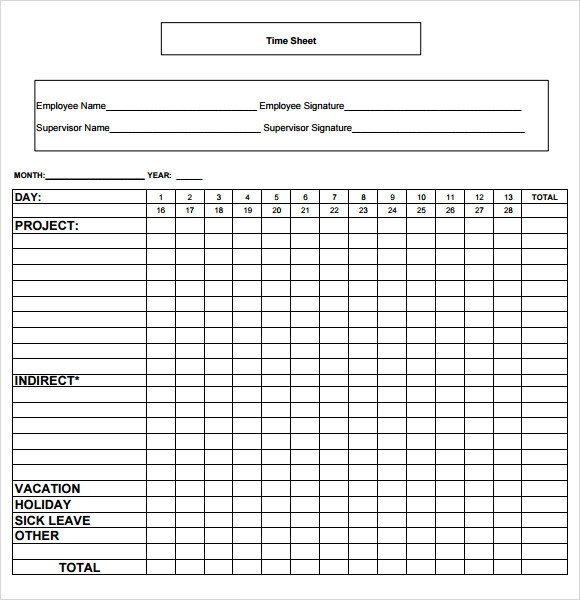 Capture the moment you dedicate on self-improvement on the timesheet template too. Are you reaching your goals? Are you spending adequate time on yourself? Or, are you too focused on pleasing clients while hurting yourself? Interruptions are different from distractions. However, they are equally destructive and disruptive. They keep you away from everything that you should focus on in your freelancing business. Therefore, learn to minimize these interruptions. Look at the monthly timesheet template to see whether it captured these interruptions and disruptions. Interruptions can take you away from your train of thought. Freelancers should never spend the entire 10 hours spent at work on clients’ projects. They should also spare some time for breaks. One of the reasons for going into freelancing is the chance it offers you to be your own boss. Being your own boss means you decide when to take breaks. The breaks could last a few minutes, days or weeks. It’s good to program yourself to do this to offer the brain and your entire body the opportunity for resting and recovery. Lastly, it’s crucial for consultants to pace themselves appropriately. Pacing means you’re never in a rush to complete the project because you never accorded it ample time from the start. Avoid getting bogged down on a single task the whole day. Mix things up, unless you are currently short of work. Set the amount of work you are capable of handling each day or on an hourly basis. Plan the work for the entire month too. Use the monthly timesheet template to do all of the above. Are you a manager within an organization? A monthly timesheet serves specific purposes. Two of its most important functions include proper project management and improved quality assurance. As you may be aware, employment relies mostly on delivering quality work. Managers need to know that they can expect quality in all projects you’re hired to handle. For these reasons, it’s important to understand the role that a monthly timesheet template plays in your business. You also have to know how to prepare a good timesheet that governs the work that takes place in your business each month. The timesheet helps you to save two things: time and money. Business owners must be on top of everything that’s happening in their organizations. They can never afford to be ignorant or indifferent, especially where their employees are concerned, for even a second. That said, most of them have difficulties micromanaging the workers. 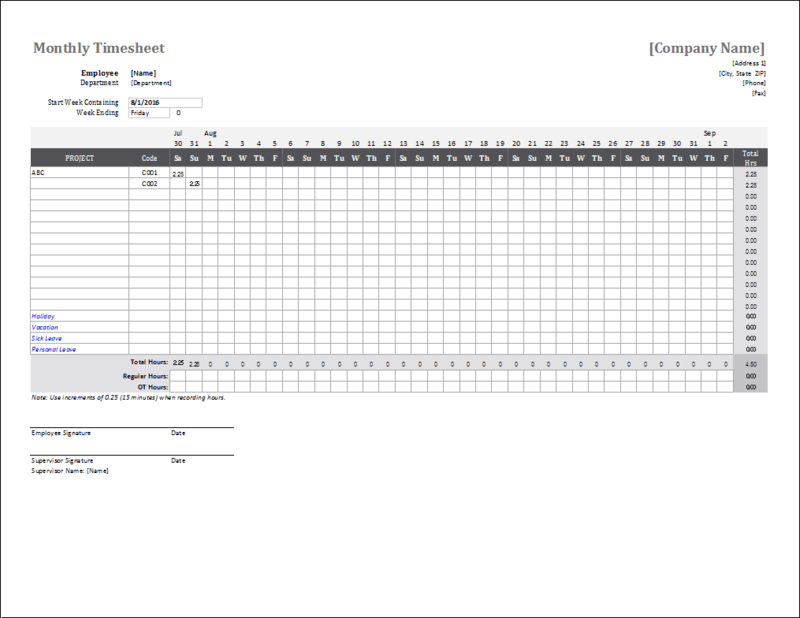 A good tool to have is the monthly timesheet template. It does all the employee micromanaging the owners are unable to do because of other crucial responsibilities too. You have a few options where employee tracking is concerned. The first option is to introduce the sort of devices that could make your employees feel uneasy. You could also opt to install performance trackers all over the office. CCTV and surveillance systems could also work here. These options are all fine, effective but too costly. A monthly timesheet, on the other hand, isn’t anywhere near as costly as these other alternatives. In this regard, it is likely to be just as effective while saving you a ton of money that your business needs. It’s important to note that monthly timesheet template also helps you to monitor productivity thus reducing or eliminating waste of time by your staff. Wasting time at work has grown into one of the biggest issues of our times. It is a growing epidemic. Solutions to this problem are required as quickly as possible. Otherwise, businesses would be at a great risk of collapsing. The timesheet would help you understand why and how your workforce seems to be wasting too much time at work. It’s easier to come up with solutions once you understand the problem. As the owner of the business, a bit of empathy could make you a better leader. The monthly timesheet template provides the information that you can use to improve your leadership skills. This document gives you an understanding of the hours and effort your employees are putting in each month at work. Through it, you can identify the best workers and reward them accordingly. You can use this information to have a session with the less productive workers, so you understand the reasons for their not-so-impressive performances. Do you run an agency? If yes, it would be good to know that timesheets can enable you to run it better. How does it do that? First, it makes you able to bill correctly. It empowers you to track the cost of each project. It provides some powerful insights and stats you can use to boost the productivity of the entire workforce. The timesheets encourage you to invest in excellent HR, which can then enable your business to save huge sums of money. That last sentence reinforces the money-saving aspect of the timesheet. Let your employees know that you value the monthly timesheet template. Let them see you make decisions and implement strategies or introduce changes based on the data you obtain from the timesheet. The employees are likely to respond to the timesheet positively when they see you doing the same. The love for the timesheet template has to start from the top before it can spread to the entire office. Use it to introduce and reward honesty, transparency, productivity, hard work and innovation.